Welcome guests into your home with this classic and timeless dining table from the Sunset Trading – Sunset Selections Collection. 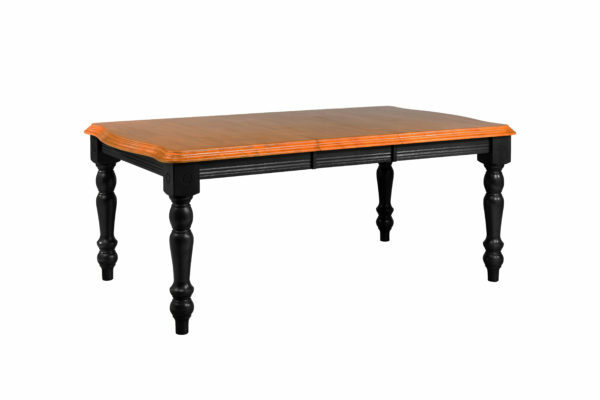 Warm and inviting, the classic beauty and design of this table makes it equally appropriate for your kitchen or dining room. Memories are sure to be made when family and friends gather around this versatile dining table. Mix and match with your choice of Sunset Selections arm and side chairs, buffet/hutch, islands and carts (sold separately) to complete your perfect dining retreat or party room. The superior solid wood craftsmanship is designed to last for generations!